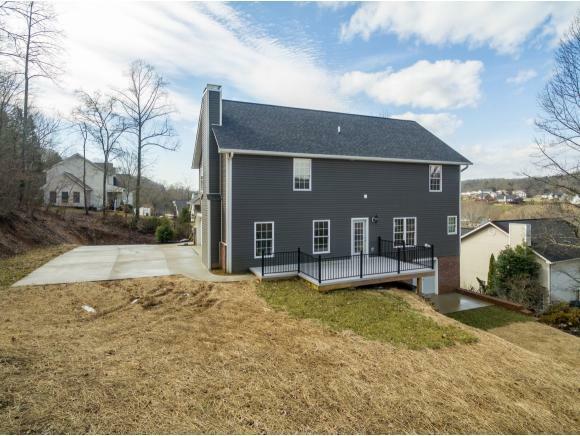 3817 Woodleaf Lane, Kingsport, TN 37663 (MLS #417481) :: Highlands Realty, Inc.
NEW CONSTRUCTION WITH CONVENIENCE AND PRIVACY! 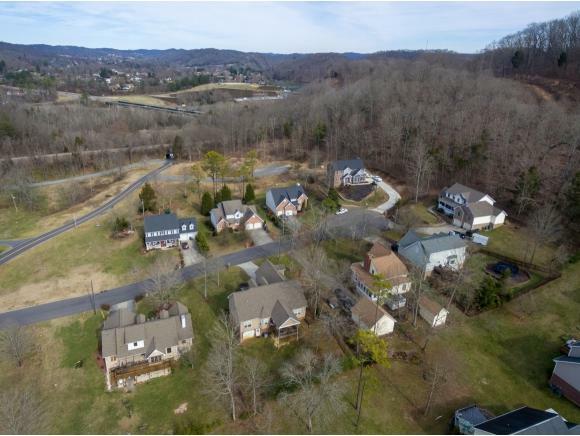 Just inside the City of Kingsport in the John Adams School District, this quality home offers 4 bedrooms, 3.5 baths, and an unfinished basement with workshop and storage space. The cul de sac lot provides privacy and little yard maintenance, and the back deck is the perfect spot for taking in pretty mountain views. STEP INSIDE to find a super practical floorplan with upgraded finishes, extensive wood molding, and solid hardwood flooring throughout. 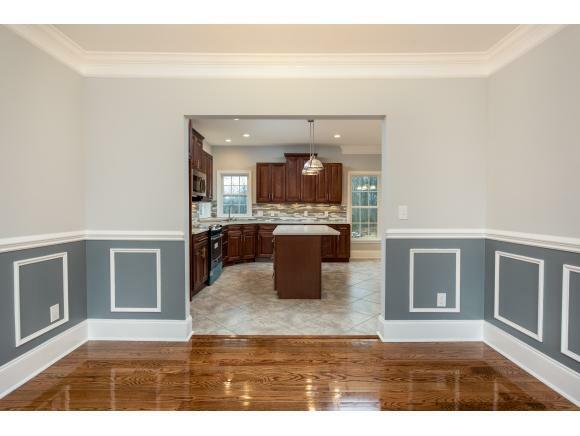 Through the dining room is a stunning kitchen with all wood cabinetry, quartz countertops, a center island, separate pantry, and stainless appliances. The kitchen is open to the sunny breakfast area and big family room with fireplace. There is also a main-level 2-car garage and half bath. UPSTAIRS you will find a spacious master suite with more hardwood flooring, walk-in closet, and a nook perfect for an office, reading, or even more storage. The master bath offers a double vanity, jetted tub, and walk-in shower. Down the hall is a convenient laundry room with utility sink and three more bedrooms suites, all with private bath access. 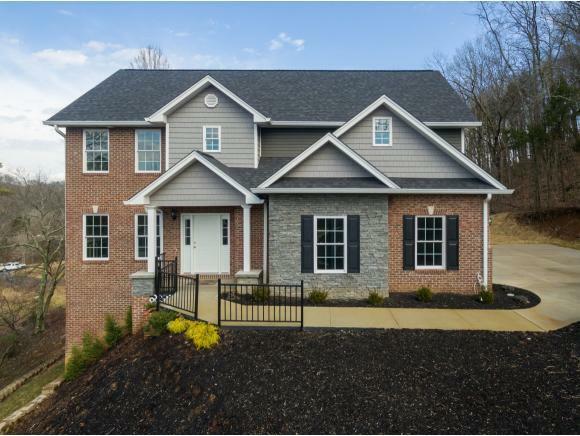 LOCATED in an established and easily accessible neighborhood, this beautiful home is convenient to all of the Tri Cities--just 5 minutes from Interstates 26 and 81 and less than 15 minutes to Schools, Warriors Path State Park, medical centers, and major shopping. Plus, it is 2 minutes to Patrick Henry Lake and great fishing on the Holston River. A one-year builder warranty is included. COME TAKE YOUR TOUR TODAY! Listing provided courtesy of Patti Burton of Blue Ridge Properties.